"Christianity in America is going through a time of substantial challenge. The Church at-large is not likely to grow in the future unless some fundamental changes in practice are made," said researcher George Barna, speaking about the American Culture & Faith Institute survey results released Tuesday. "Fewer churches emphasize and equip people for evangelism these days, and the results are obvious and undeniable. The implications of ignoring gospel outreach — especially among children, who are the most receptive audience to the gospel — are enormous. All the 'church growth' strategies in the world cannot compensate for the absence of an authentic transmission of the good news of what Jesus Christ has done for humanity." 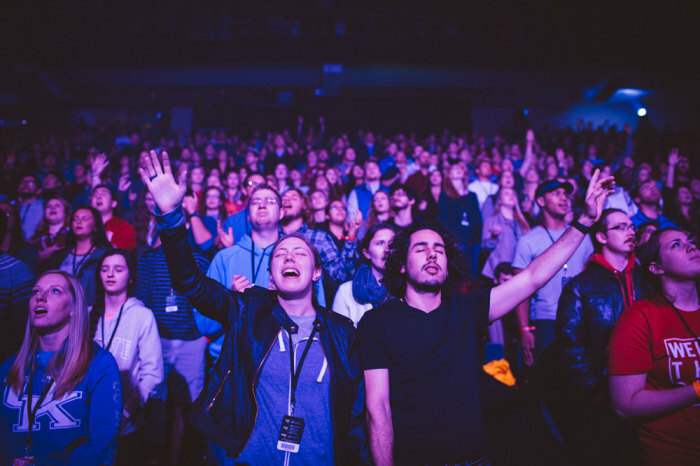 The results, drawn from a monthly nationwide survey this year that in total interviewed 9,273 American adults, found that just 31 percent of adults identify as born again, following a trend of decline since 2010. ACFI warned that the demographic data does not give hope that the trend is likely to reverse in the near future, as older generations are more likely to be born again. The poll noted that 33 percent of the 65+ age group category and 37 percent of the 50 to 64 group are born again, compared to 31 percent of those in their 30s and 40s, and only 23 percent of adults under 30. "As older Americans pass away, the population proportion of younger adults will increase, continuing to drive down the born again proportion in the years to come," the survey argued. "Children and teenagers are exhibiting a lower likelihood of becoming born again, too, further limiting the possibility of the growth of this segment." Still, the research established that youngsters are most likely to accept Jesus Christ as their savior before they finish high school, as two out of every three individuals who become born again do so before the age of 18. "Another 8 percent do so during the period traditionally thought of as college years (ages 18 to 21); 8 percent more do so from age 22 through 29; and another 8 percent do so during their thirties. Only 9 percent of adults accept Christ as their savior at age 40 or later," the sruvey noted. Republicans are more likely (45 percent) to be born again, compared to Democrats (27 percent) and independent voters (26 percent). The survey also found that 51 percent of political conservatives met the born again criteria, compared to only 27 percent of moderates and 19 percent of liberals. The researchers believe that the decline in born again Christians is largely due to attitudes toward evangelism and salvation. Only 21 percent of adults affirm that they have a strong personal responsibility to share the Gospel with people who hold different views. Among born again Christ followers, 39 percent agree. "Even more disturbing is the fact that adults are about equally likely to believe that eternal salvation can be earned through personal goodness or good deeds (25 percent) as believe salvation cannot be earned (20 percent). Once again, the profile of born again Christians on this matter was different — but not by as much as might be expected given their personal commitment to and experience of grace-based salvation," they explained. Fifty-five percent of Protestants and only 19 percent of Catholics said that eternal salvation is based solely upon their redemption by Christ. A noteworthy shift in the last two decades, ACFI pointed out, is that 38 percent of Christians now do not identify as Protestant or Catholic, which was "virtually unheard of a quarter-century ago." "Today, that point of view is challenging the self-identification of 'Protestant' as the national norm. That change corresponds with the widespread decrease in peoples' loyalty to social institutions and to adopting traditional labels for one's views and relationships," the survey stated. As for the reasons behind decisions to follow Christ, 29 percent of born again Christians pointed to the influence of their parents. Church events influenced 20 percent of conversion decisions, and other family members or relatives influenced 16 percent of decisions to become a Christ follower. Barna warned in his conclusions that American parents are failing to engage their children in the faith. "If you eliminate both family and churches as evangelistic influences in a child's life, what are the chances that the child will have a positive exposure to the gospel? They are very slim," he said. "In fact, the research suggests that the greatest hope in such circumstances is that they will face difficult life situations that produce a deeply felt need for a spiritual solution, and that Jesus will be among the options they consider. We are essentially abandoning both the future of the Church in the U.S. and the best interests of our young people through our wholesale dismissal of evangelism and the importance of having Jesus in our lives." Observers, such as Chuck Lawless, dean and vice president of Graduate Studies and Ministry Centers at Southeastern Seminary in Wake Forest, North Carolina, have in the past suggested that Christians who don't evangelize haven't been "genuinely turning from sin to trust Christ." "Deep down, they believe there are multiple ways to God — and no one has intentionally, clearly shown them otherwise from the Scriptures," Lawless said in July.